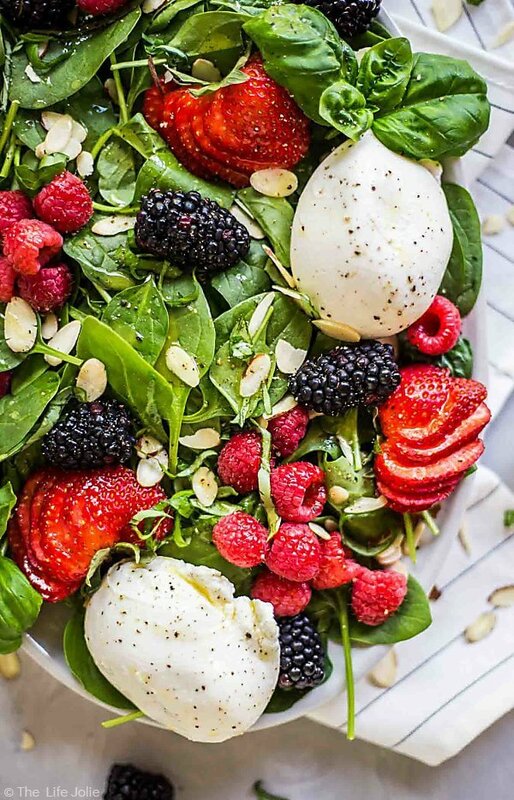 Summer Berry and Burrata Salad is a healthy and delicious recipe. 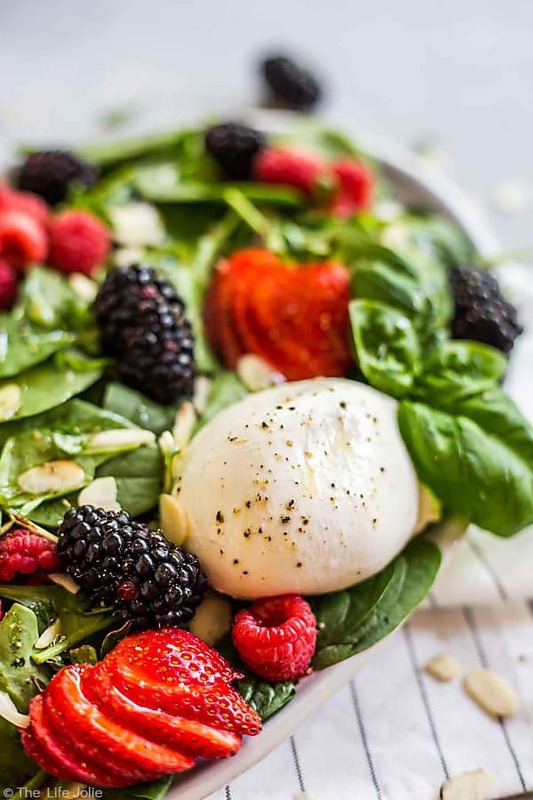 It’s easy to make with baby spinach, berries, sliced almonds and creamy Burrata cheese with a homemade honey vinaigrette. This makes a festive side for entertaining guests or a great main dish on a hot summer night when you don’t want to cook! The other night J picked the girls up from daycare and we met at our church rummage sale. 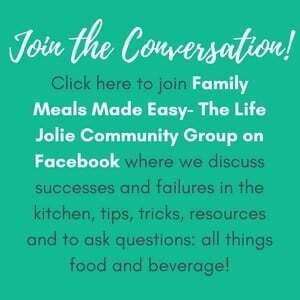 I love this sale because I’m constantly finding great treasure to use for food photo props and rock-bottom prices and great books and toys for the girls. A few years ago I got a killer deal on some great decor for A’s Alice in Wonderland Birthday Party. As I was getting ready to pay, J asked me to come look at an item that he liked. We’ve been in the market for an end table for a little while, so I was excited that maybe he’d found one since I hadn’t really looked at the furniture. Now, typically when J has an opinion on decor, I tend to give in quickly because he so rarely shares his decor opinions that I assume it must be important to him. But this guy was a pretty decent-size piece and I didn’t even know where we would put it. My initial reaction was, “Oh hell no!” but instead I smiled and said, “ok…I didn’t realize you were that into vinyls…” Then J proceeded to tell me that he thought it was so cool and the guy seemed like he really wanted to get rid of it and he thought we’d be able to get a great price. I still wasn’t really sold but I asked him where he thought we could put it. He said he was pretty sure it would fit into our living room next to the couch (where the Xbox currently hangs out). The other option was to put it in the dining room, as he thought it might go with the dining room furniture set his parents gave us. Then he looked at me with those big, chocolate brown eyes that I adore and said “I’d even be willing to keep it in the garage if you don’t want it around the house.” Well, at that moment, even though it wasn’t really what I had in mind for an end table, and even though it really isn’t my style, I knew I couldn’t possibly say no. I mean, he obviously loved it if he was willing to keep the thing in the garage. Would it kill me to have a side table that also plays music? So I smiled at him and said “if you love it, you should have it.” The guy even threw in tenfree vinyls to seal the deal (hello Lionel Richie!!). I’d love to hack it somehow to make it cuter but I’m not really sure how (ideas are welcome!!). We’ll see…at least J is happy. This past week we had a couple of days that were almost 90 degrees! I forgot what it’s like to have that kind of heat, but I certainly wasn’t complaining. But that high heat and humidity definitely got me thinking about those nights. You know the ones, where it’s so darn hot, you couldn’t possibly fathom turning your stove on, never mind your oven! 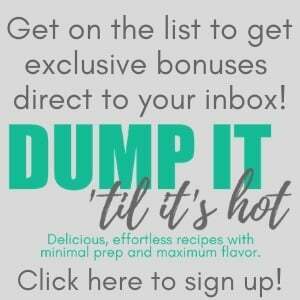 This recipe is made for hot summer nights like that. Fresh baby spinach. 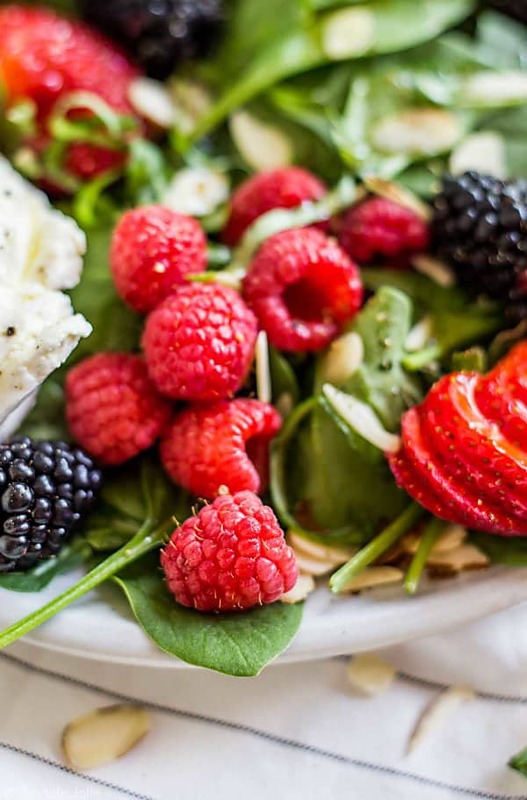 Sweet and juicy summer berries. Luxuriously creamy Burrata cheese (if you haven’t tried this you should probably drop everything and get some immediately. 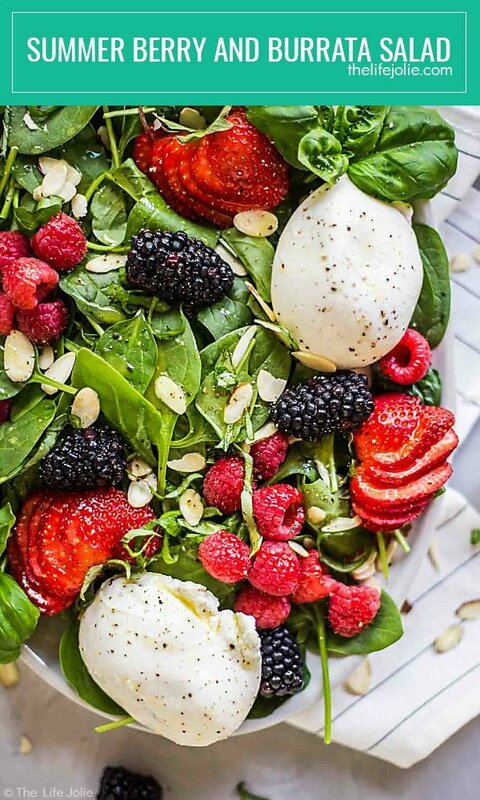 Think: fresh mozzarella but much creamier. It really is that good!). Crunchy slivered almonds. 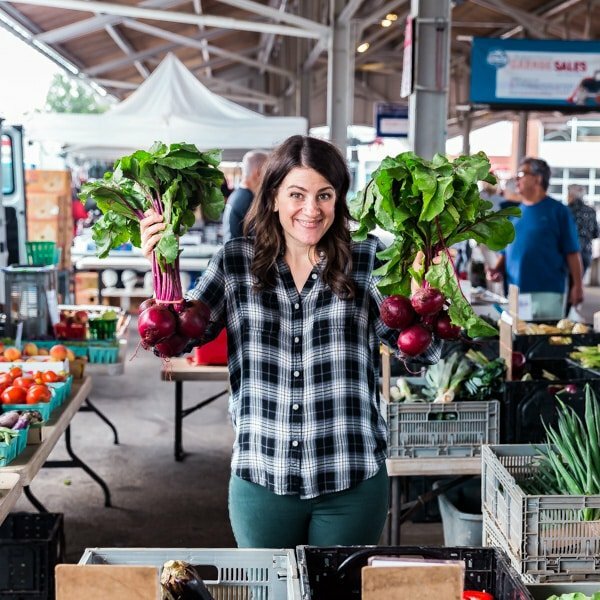 I whipped up a simple honey vinaigrette go over it. I didn’t go crazy on the honey because the berries were already pretty sweet. But that little bit of honey helps cut through the acid from the vinegar and emulsify the vinaigrette. This is also a simple option to serve as a side dish or an appetizer for a dinner party. It’s fancy enough to impress with minimal work on your part. And you can assemble it in advance and then dress it right before you serve it! 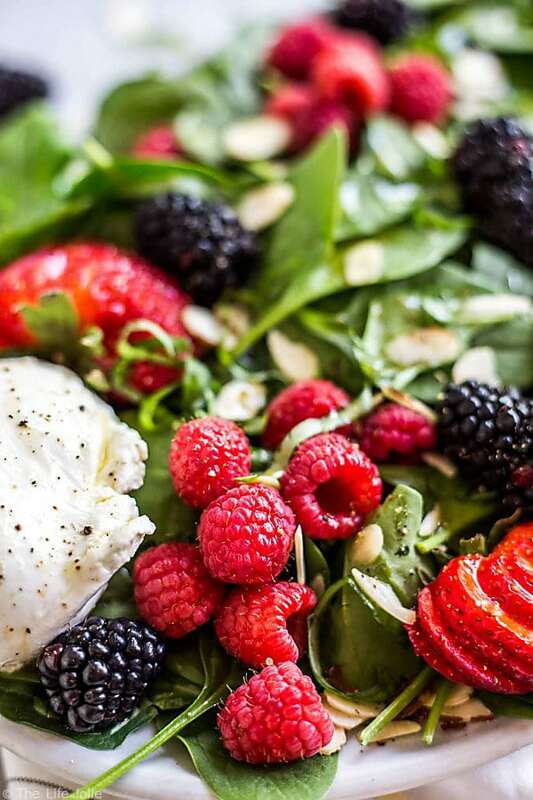 Summer Berry and Burrata Salad is a healthy and delicious recipe. 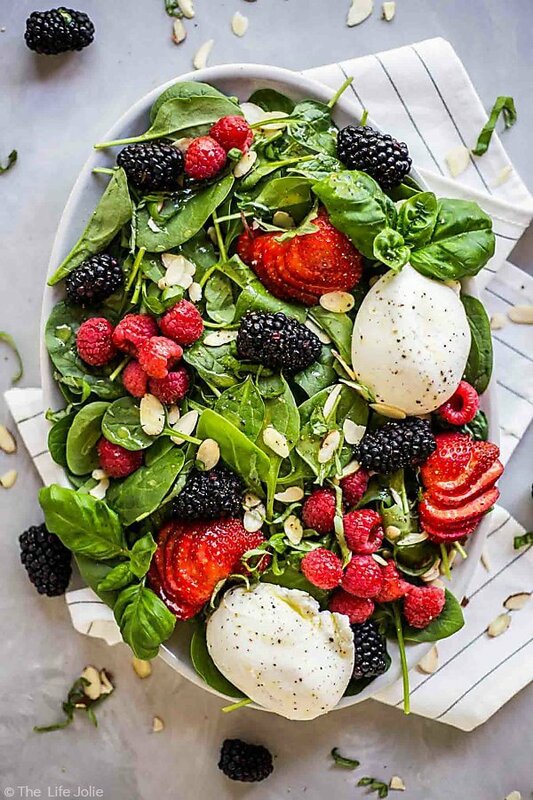 It's easy to make with baby spinach, berries, sliced almonds and creamy Burrata cheese with a homemade honey vinaigrette. 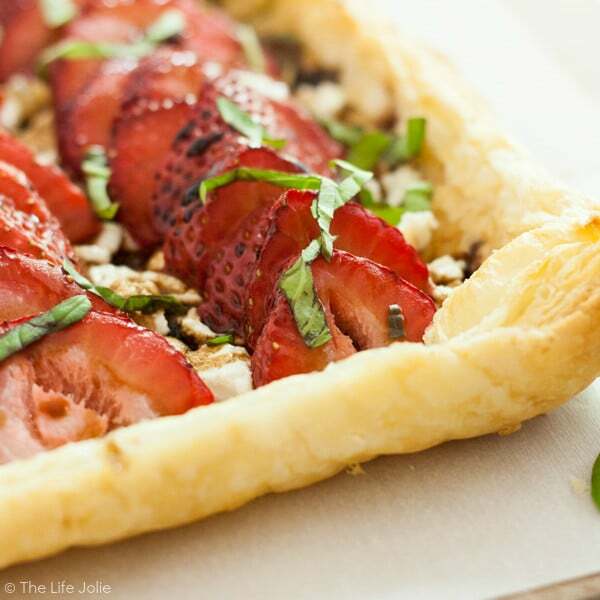 This makes a festive side for entertaining guests or a great main dish on a hot summer night when you don't want to cook! In a deep bowl, mix the first six ingredients. Toss with the dressing until they are evenly coated. 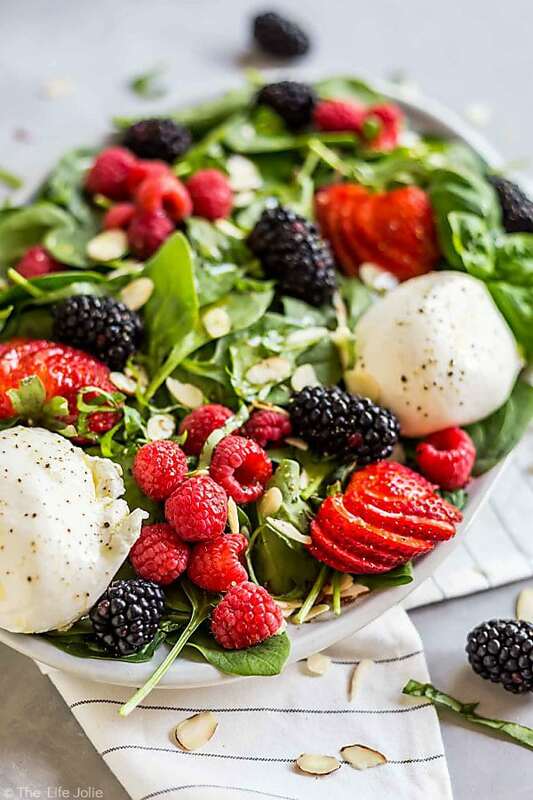 Place the salad into your serving dish and top with the balls of Burrata and a bit of fresh cracked pepper. To chiffonade the basil, stack the leaves on top of each other and toll them. Then cut the roll (as you would cinnamon buns). You can easily double or triple this recipe for a crown. If Burrata is not available, fresh mozzarella is a good replacement and this also tastes great with crumbly blue cheese. You could easily top this with chicken or shrimp for a more filling entree.